Engineering Degree(BE/BTECH) candidates from Mechanical, Electrical (EEE), Electrical (ECE), Civil, Control &Instrumentation, Computer, Mining stream can apply. Fr more details follow the interview notification. Should not have completed 30 years as on 01/01/2018. Eligible candidates will have to appear for GATE-2018. Candidates will be shortlisted for selection process in the order of merit based on the marks scored by them (out of 100) in GATE-2018. 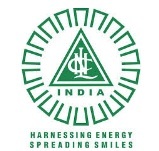 The list of candidates shortlisted for selection process will be published in NLCIL website (www.nlcindia.com). Call Letters to the shortlisted candidates for Personal Interview will be uploaded in NLCIL website (or) sent by post. Shortlisted candidates will also be informed by email /SMS. Selected Candidates for this NLC Notification posts will get Salary RS.INR.20600-3%-46500 (E-2 Grade) and offered attractive compensation package (CTC approximately ranging from Rs.9.18 Lakhs to 9.78 Lakhs per annum) (Due for upward revision with effect from 01/01/2017, which will be implemented shortly).